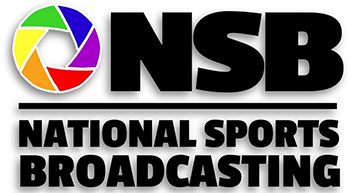 National Sports Broadcasting is able to provide their clients with easy-to-use email marketing and online survey products to help them build strong, lasting customer relationships. We are a leading provider of email marketing and online survey tools for small organizations. “Our customers are always looking for effective ways to grow their businesses. Our customer communication tools give our clients a valuable addition to our core services. Constant Contact’s ease-of use and affordability made the partner program a great solution to meet our clients’ marketing needs. Email marketing and online surveys are proven tools that help small businesses connect with their customers and build successful customer relationships,” said Len Bruskiewitz, senior director, Partner Programs, Constant Contact. “We are pleased that Image Botique chose Constant Contact to provide their clients with our products and services, and we look forward to working with them to help grow their clients’ businesses.” As a Constant Contact Business Partner, National Sports Broadcasting is able to provide their clients with email marketing and online survey capabilities. With SpeakUp! Email Marketing, Constant Contact’s email marketing product, NSB’s clients can quickly and easily create professional-looking emails, manage contact email lists, measure email campaign results from clicks to open rates, and review who joined email lists. With ListenUp! Survey, Constant Contact’s online survey product, NSB’s clients have an easy-to-use tool to gain insight that will help them meet customer needs, generate new ideas, and grow their business or organization. ListenUp! Survey also helps NSB’s clients analyze responses quickly, create targeted email lists based on survey responses, take action, and followup with relevant email communications.